Gord Perks stands to Tory's left for photo op. Louise Russo: Simply overwhelming to be Tory's special guest. 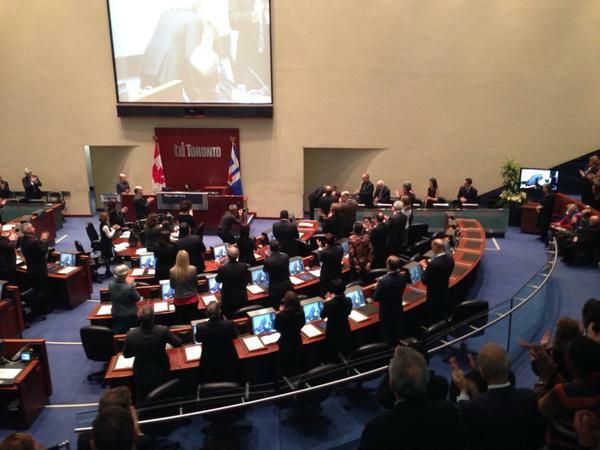 Louise Russo: Voters have entrusted all of you (Cllrs) to build a better Toronto. Louise Russo: I knew I needed to move forward (after being paralyzed in gang shooting) I believed in Toronto the Good. Louise Russo: Never forget WAVE event Tory's attended. It was their 30th anniversary. Louise Russo: John Tory cares about this city, it's safety and youth. 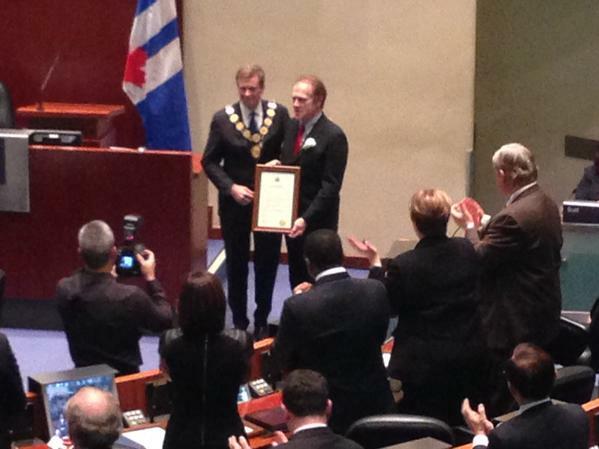 John Tory: Sincere word of thanks to Norm Kelly for years of service. 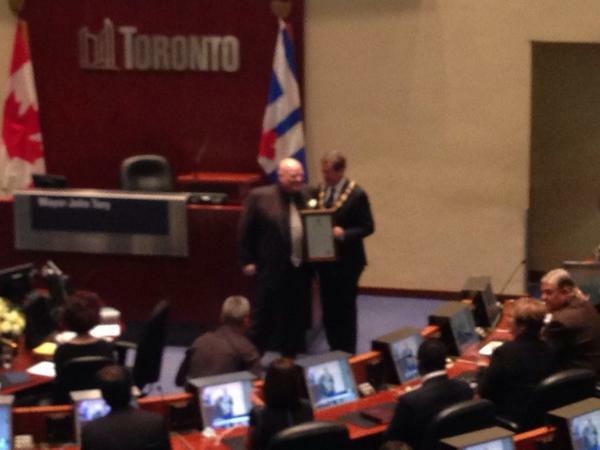 John Tory: Said I'd miss Rob Ford. He'd say 'What's on this page is gonna lay you out". 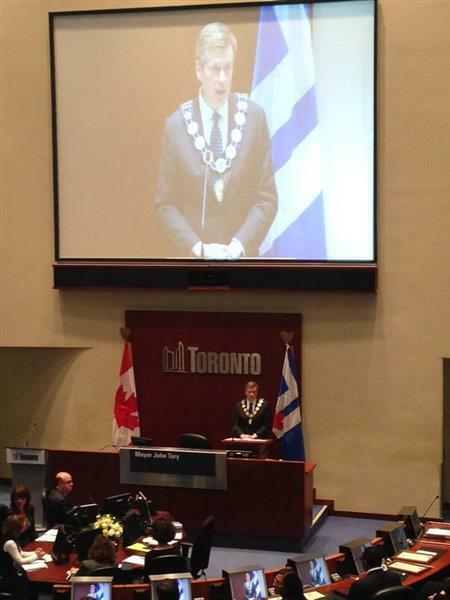 John Tory: feel a huge sense of privilege to serve this city. We should all say thank you to those who sent us here. 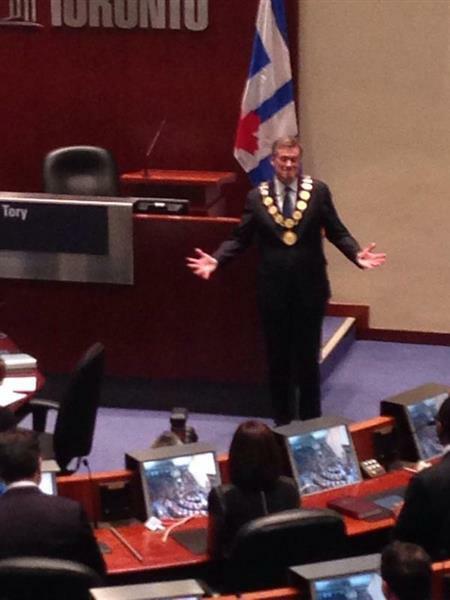 John Tory: Barb knows me better than anyone. I wouldn't be here without her. 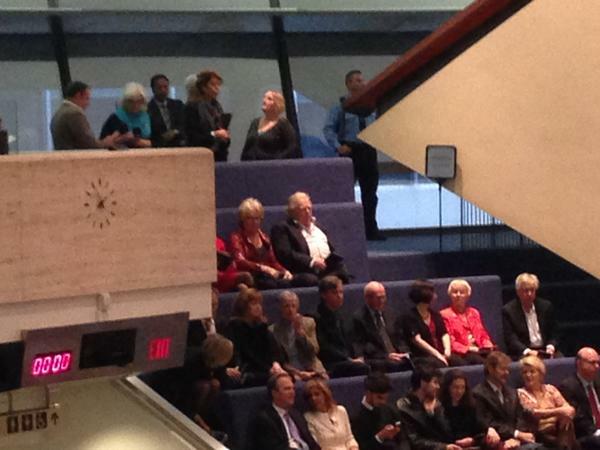 John Tory: Mentor Bill Davis and his wife Kathleen. Honoured to have them here. 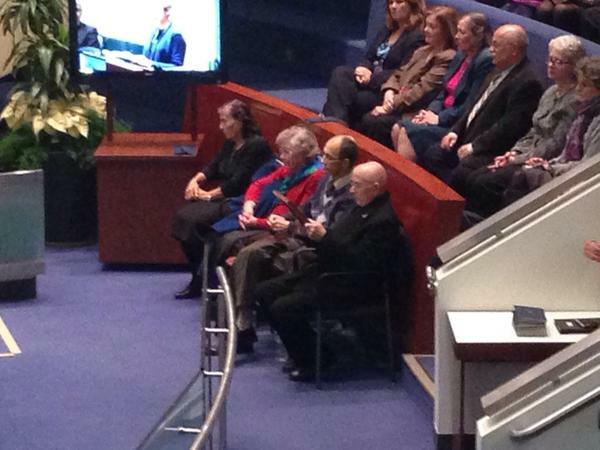 John Tory: Louise Russo came back in the face of extreme adversity. Didn't think twice about having her join us. 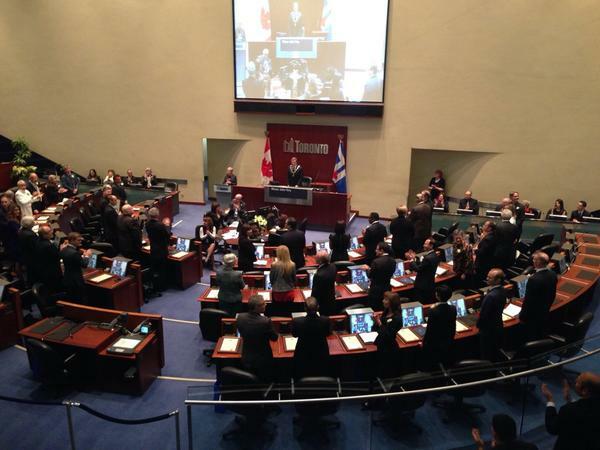 John Tory: Voters asked elected officials to get to work on issues that matter to them. 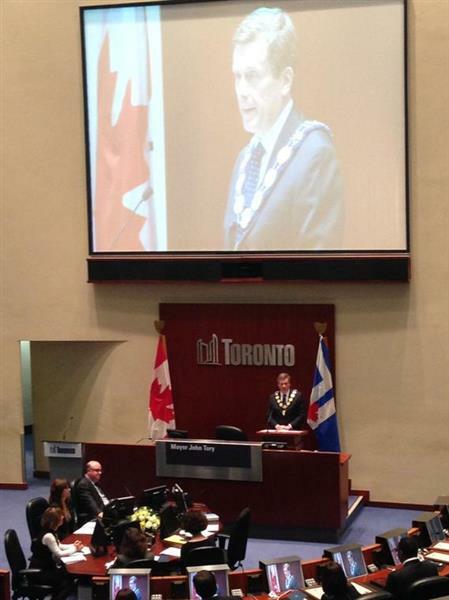 John Tory: Torontonians want results and its up to all of us to achieve them. 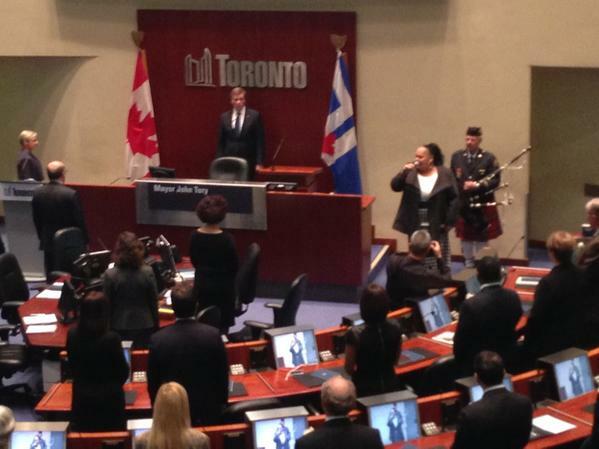 John Tory: Together we can achieve "uncommon results". 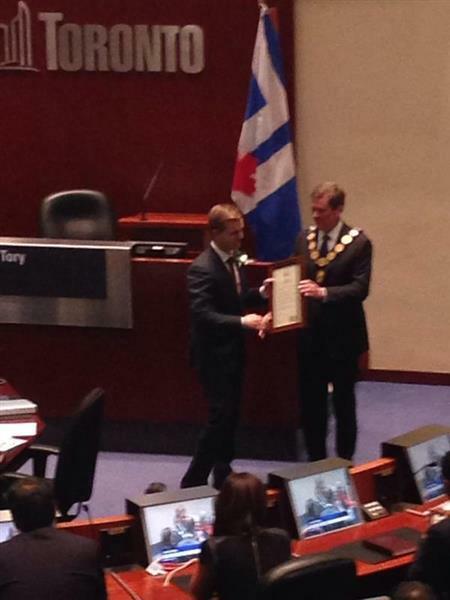 John Tory: Let us be honoured and humbled by our responsibility. 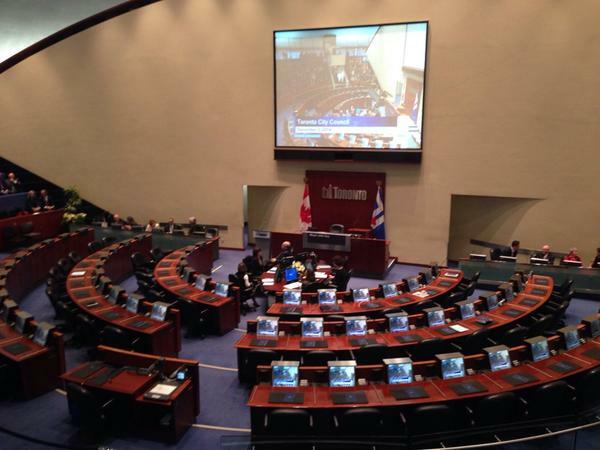 John Tory: Torontonians want visible progress on a few issues. They don't expect miracles. 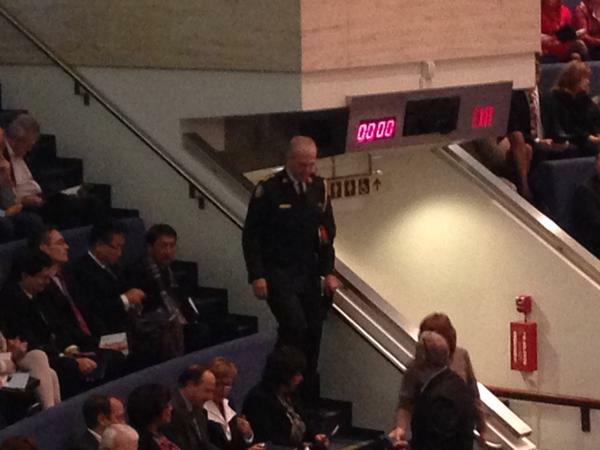 Applause from council when John Tory promises better relationships with province and Feds. John Tory: Some processes and the way things work around here are generations behind.